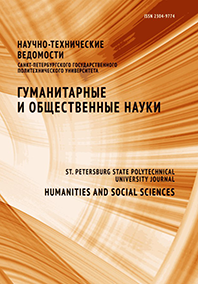 The article is dedicated to the problem of controlling spontaneous processes in the public sphere, which is important for social theory and practice. The purpose of the article is to analyze the theoretical origins of the methodology of operated chaos in social philosophy. The study is conducted on the basis of system methodology. The author uses a comparative and analytical method for exploring the conceptual framework of operated chaos as applied to describing socio-political processes. In this regard, the article considers the theories of chaos existing in science, presented in the works of Poincaré and Hadamard and the foundations of mathematical modeling of destructive processes in the works of Lorenz. The article refines the semiotic aspect of correlating the concepts of crisis, chaos and controlled chaos and the possibility of applying this terminology to characterize social dynamics. A special focus is on the concept of operated chaos, developed in the works of Prigogine and Mann. The possibility of applying the theory of operated chaos to describing the forecasting of socio-political events is considered.